Slow cookers are very convenient and great to use anytime of the year. They are quite versatile and there’s endless recipes you could make with it, from breakfast to dinner to desserts. This Fall season, Redpack Tomatoes are encouraging families to whip out the slow cooker and fill it with delicious homey soups, stews, casseroles, and more. They are sharing a series of recipes that incorporate their quality canned tomatoes. How wonderful would it be to come home to a cozy, warm meal after a long busy day. 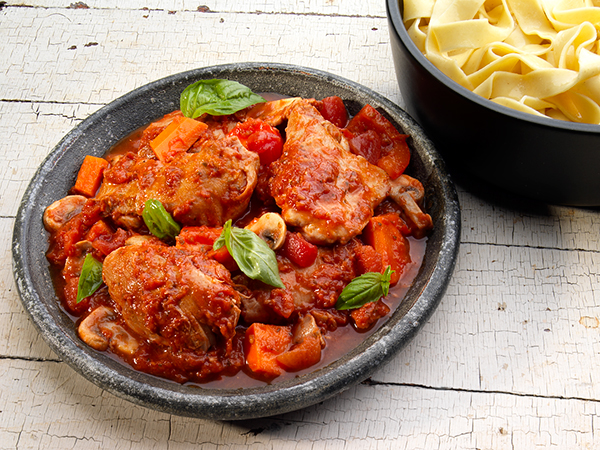 Here’s one for a Rustic Italian Chicken. Redpack is hosting a promotion, October 22nd through November 12th, on their Facebook page where they will be giving away two slow cookers a day for the entire three weeks. Check it out!